The earth is our mother and as such she gives us natural remedies. 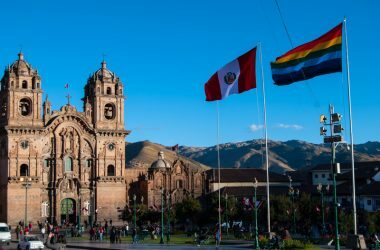 For many people in Cuzco, despite the existence of good doctors and hospitals, these continue to be important in our lives to cure the various illnesses that are found among us. One of these medicinal plants is aloe vera. Originally from Africa and the south of Arabia, the aloe vera grows in tropical and subtropical climates. As a result, we almost always can find aloe vera in our markets. Though there are more than 500 species of aloe, in Cuzco only two kinds are sold. These are the “male” and “female” aloes (called sábila in Spanish). 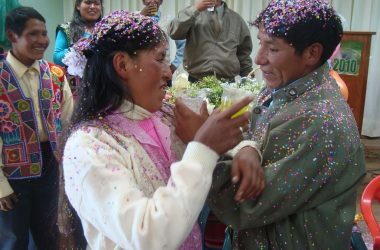 According to the vendors the male comes from the valley of Quillabamba. They are larger, while on the other hand the “female” is smaller and grows in Cuzco. You can see in in the gardens around many houses. Fortunately, both the male and the female have the same benefits. Many of the ancient civilizations of the old world appreciated the curative benefits of sábila. As a result it is not surprising that today aloe vera is one of the more common plants found in homes in many parts of the world. 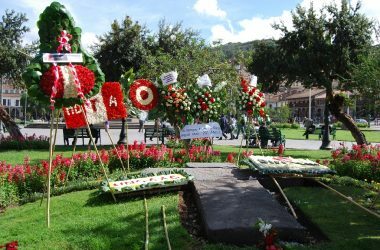 Since the light green color generates a pleasing environment and gives life to places, the people of Cuzco often decorate their gardens, living rooms and even bedrooms with the plant. It’s vigor makes it very attractive. But it is more. 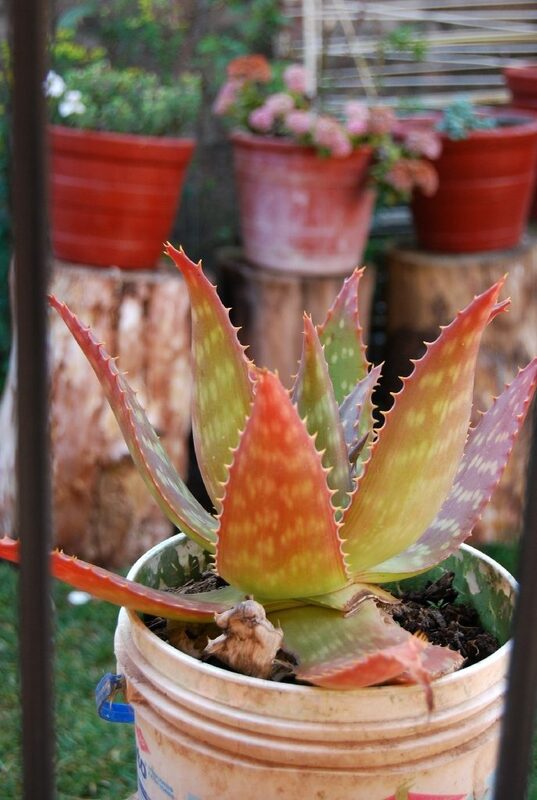 Many families have a belief that having an aloe plant in the house will attract economic abundance. They say that when the plant becomes reddish, that is dries up, that it is because people are speaking badly of the home’s inhabitants. Such is the importance of the sábila; it can both respond to negative facts as well as attract wealth, all the while it is a beautiful plant. Of course, aloe vera also has medicinal uses. Before it is used for health effects, whether orally or topically, one should get rid of all iodine by leaving the aloe to rest in boiled or warm water for 48 hours. Then one extracts from it the gelatinous substance which has many uses. Sábila is known to be one of the most effective purging agents, people say. 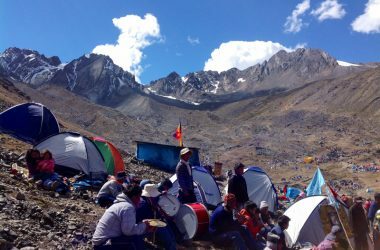 One way of taking it in Cuzco is while fasting so that it can help one to have good digestion and can resolve problems within our organism. 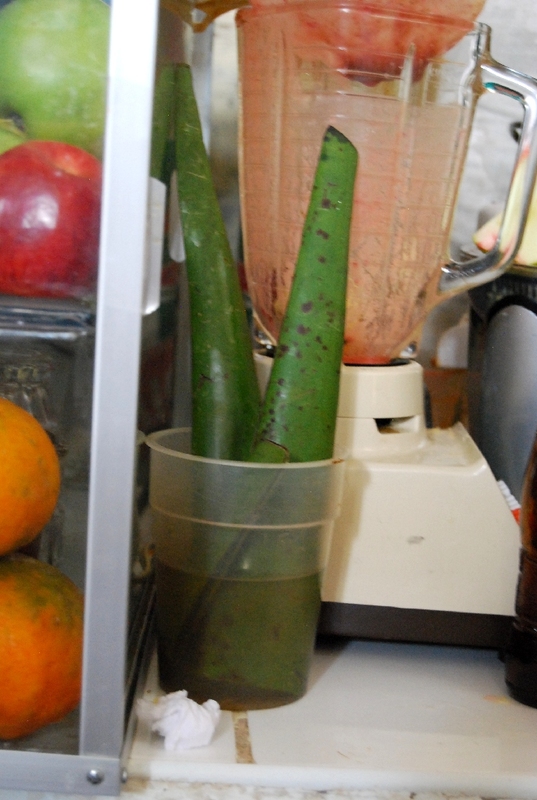 One can also take it in the mornings, in smoothies, to help have good digestion. The aloe is also known for curing irritated eyes that tear up a lot. People say it is also a good option for people who suffer from puffiness or dark rings because of a bad night in which one cannot sleep. It is also used to heal wounds and burns from accidents, because of the sun, or from blows to the body. It is also good for gastric and urinary problems. It helps heal ulcers, gastritis, and gastric inflammation. Sábila is also a gentle refresher for the skin. In order to prevent the loss of hair there is a home remedy made from aloe vera. First you get all the gelatinous substance from the stem which has been soaked for two days. Then you mix it gently with a little almond, peanut, or coconut oil and leave it in the refrigerator overnight. You will then massage your scalp with this cream at night before going to bed. The next morning you wash as you normally do. 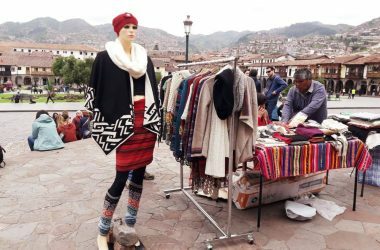 This remedy is strongly recommended by the vendors in Cuzco’s markets. You can buy aloe vera in any of Cuzco’s public markets: San pedro, San Blas, Rosaspata, Ttio, or Wanchac. It is relatively cheap depending on its size, selling from S/1.00 to S/3.00. 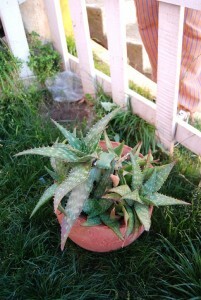 The caseras (vendors) also have aloe that you can take home to replant. This costs between S/2.50 and S/5.00. again according to its size. 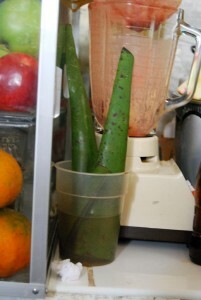 The market vendors recommend aloe frequently as a home remedy; they say it gives good results. 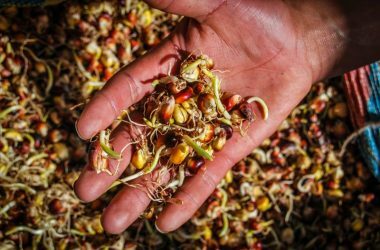 It is a great relief for the people of Cuzco since it is available year round in the city, if it isn’t growing in their home.